Some years back I decided to read David Sheff’s 1993 essential “Game Over: How Nintendo Zapped an American Industry, Captured Your Dollars, and Enslaved Your Children”. Only the version I actually read was 1999’s revised edition, “Game Over: Press Start to Continue”. As one of the titular enslaved children, I wanted to learn more about the history of Nintendo and the video game industry during the NES era to which my formative years belonged. It was definitely an interesting read, and I’d recommend it to anyone interested in such things, both for the rare insider information it contains and the time-capsulated look at the late 80s/early 90s mainstream American sentiment towards Japan and the video game business in general. Still, as anyone reading this blog may note, I’m something of a Mega Man fan. 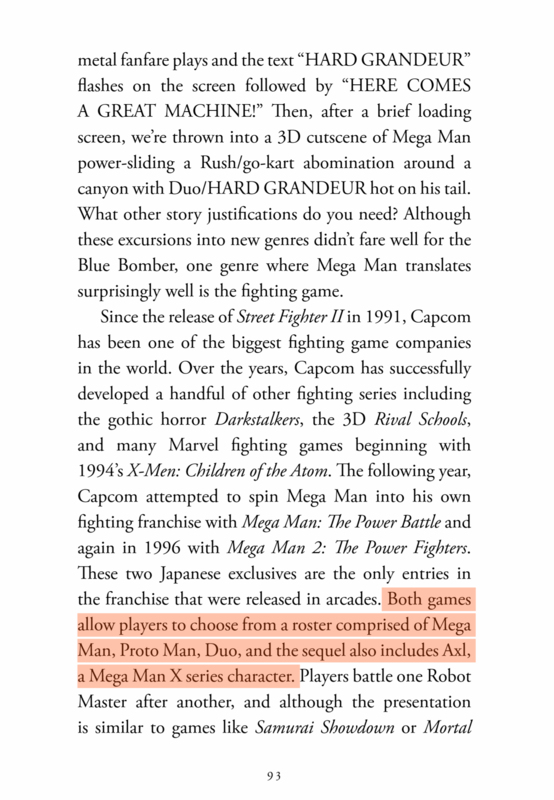 And Mega Man just happens to be one of the sidelined video game properties mentioned in passing throughout the book, where it became clear that fact checking little details from anecdotes was too inconsequential to be bothered with. Game Over: Press Start to Continue (1999), page 225. Does Mega Man eat sushi to power himself up? I will posit that it is possible that NOA employees recognized the similarity to the game’s energy items to manjuu, which itself is technically not sushi but in early 90s America any food from Japan might as well have been called such. However, has Capcom USA or Nintendo Power ever called these power ups “hot dogs”? Not that I have ever found. And then about altering the eyes, I have no idea if they are referring to Capcom’s box art or to Nintendo Power’s promotional art, but certainly not the in-game sprite work. Honestly, I think the author or interviewee simply got some wires crossed and mistook Mega Man for another franchise. (If you have some idea what video game property this description might refer to, please let me know in the comments.) I suppose it goes to show, no matter how revered or influential a source or body of work is, there is always a bit of room for error. I bring this up not just as another random fragment of memory, but because of What I Really Want to Talk About Today, the recently released text “Mega Man 3” by Salvatore Pane, #14 in the Boss Fight Books series. For those unfamiliar with Boss Fight Books, each work generally follows a similar template. Three story threads (the history behind the making of the game, the reception of the game into popular culture, and the author’s own experiences and insights from playing the game) are interwoven into an overlapping narrative where diverging experiences come together and the given game is thoroughly explored as a valuable work of art. I am a sucker for putting an academic lens to the games that I love, so as you might expect, I was a Boss Fight Books Kickstarter backer for the current crop of titles. Mega Man 3 was the book I was most excited to delve into. I finished it cover to cover in a single night, and after a few days to stew it over, decided to write this review. Starting from the position that Mega Man 3 is his favorite Mega Man game, but not quite sure as to exactly why, author Salvatore Pane sets out on a journey to explore the roots of his passion for collecting vintage video games, and examine what it is he loves about Mega Man 3 over its often overshadowing predecessor, Mega Man 2. The book also touches upon the emulation and retro gaming scene. It polls the members of the NintendoAge forum for their take on the current state and the drive behind classic game collecting and how it has evolved, for better or worse. The book even dips into the life of James Rolfe of Angry Video Game Nerd fame and asks his take on the question of which Mega Man NES game stands as the best. Finally, it delves into Mega Man 3’s most recent release in Mega Man Legacy Collection, and looks at the effort being made to preserve the experience of playing Mega Man 3 for generations to come. Pane and his Associate Editor Michael P. Williams did a lot of research into the making of Mega Man 1-3, mainly the roles of game planners Akira Kitamura and Masahiko Kurokawa, artist turned producer Keiji Inafune, and sound composers Manami Matsumae, Takashi Tateishi, Yasuaki Fujita, and Harumi Fujita. Kurokawa in particular was the subject of much original research by Williams, going so far as to confirm his use of various pseudonyms throughout his career. The book’s references include a formidable list of interviews and articles, including some which are still largely unknown to an English speaking audience. The citing of sources for authentication and accuracy hold massive appeal to the OCD fan in me. It’s something I’ve always aspired towards since my earliest contributions to Mega Man X Online (now The Mega Man Network) all the way to this blog (back when I used to work at it). That said, and since obviously I didn’t bring up that Game Over story without a reason, I have to mention that in my single reading I did note a few small errors and discrepancies in both the narrative and the source material. I’m going to list these out as I saw them. In the first chapter of the book, the relationship between Akira Kitamura and Manami Matsumae is depicted as quite artistically divided, disagreeing on the fundamental themes and that Kitamura held “lingering doubts” about the music following the game’s release. It cites Manami Matsumae’s January 2016 US Gamer interview and the 2011 Akira Kitamura interview as its justification. The book also later describes them as having “butted heads”. I’m not sure that anything that either person said in those interviews indicates that level of arduous disagreement. Matsumae is a professional who has routinely acknowledged the importance of the compositions matching the game director’s vision in that and other interviews (like this one for example), and gives no indication of any hard feelings towards tailoring her professional work to suit the overall vision of a project. Kitamura meanwhile gives a rather glowing appraisal of Matsumae’s work in his 2011 interview, and instead actually cited MM2 composer Takashi Tateishi as the one whose initial compositions required significant revision (with delighted acknowledgement that through much hard work the final compositions wound up surpassing his own expectations). 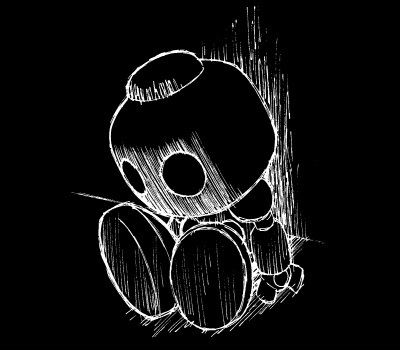 I will grant there could be some truth to it, as mentioned by Inafune, Roy Ozaki, and Kouichi Yotsui in interviews appearing in The Untold History of Japanese Game Developers vol 1 that Kitamura could be hard upon his subordinates, but those who actually worked under him, Inafune included, hold Kitamura in high regard. I think a little more justification is required to assert that the two did not get along to a heightened degree, and moreover, that Kitamura had unresolved problems with the MM1 score. Mega Man 3 (2016), page 93 (or 95 in the print version). The book has confused Duo with Bass and Axl (somehow). An obvious mistake, but a strange one to make. Mega Man 3 (2016), page 145 (or 147 in the print version). Much of this citation is incorrect. The interview was first published in Wedge Holdings’ 2011 Rockman Maniax single volume (you can even see the initials A.K in English on the cover). The 2015 Fukkan.com reprint split the oversized book into two volumes, labeled “Top” and “Bottom”. The interview appears in the “Bottom” half, which by order of publication would be the second volume. I can’t really blame the book’s editor for this, however, since the Shmuplations site itself links to the wrong book. Also, the untranslated portions and the message to the fans mentioned in the paragraph were also present since the initial 2011 publication. 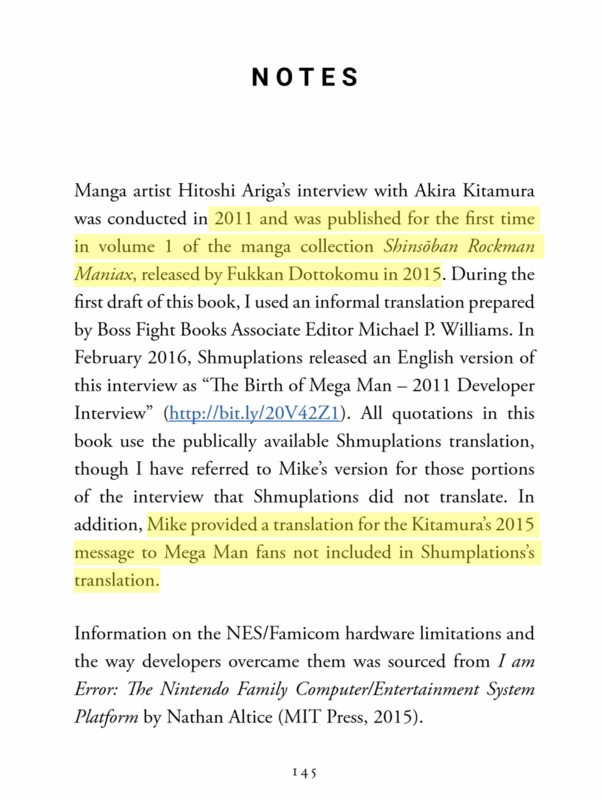 Kitamura has not publicly resurfaced on the topic of Mega Man since then. As I mentioned above, there was a great deal of research into confirming Mega Man 3 Planner PATARIRO’s true name and various aliases. It’s tightly detailed and superb, except for this one fact: “MobyGames additionally credits Masayoshi Kurokawa for Deadly Premonition (2010) and its 2013 Director’s Cut, but this must be a different person, as Yotsui’s interview with Roberts and Strangman establishes that Masahiko had already died by 2009.” The game Deadly Premonition was in development in various forms for more than 5 years, and Kurokawa’s game credit as “Planning Support” was for the work he did at Access Games on the project before he died. The author’s conclusion appears to be that Mega Man 3 is not noteworthy because it contributes historically to the evolution of video games, or involves fun challenges, music and gameplay that stand the test of time. Rather, its importance comes from it being a part of many NES fans’ shared childhood nostalgia. This is not exactly the thematic underpinning I was hoping for with Mega Man’s first foray into academic review territory, but it is an honest appraisal by the author so I can’t exactly fault the book for that. The book seems fair in giving praise and also offering criticism of the game’s shortcomings as he sees them. Overall, I feel comfortable recommending this book as a worthy read to anyone who enjoys this blog or takes an interest in video games as a culturally significant social science. This was right up my alley. If you choose to support the book, you can pick up an ebook or physical copy at the main site here, or pick it up for Kindle at Amazon.com. Strangely, Amazon lists the book as 97 pages. Both my Kickstater pdf and my softcover copy are in the 160s, so I imagine it’s an either an error or a trick of Kindle formatting. If you happen to pick it up, I hope you’ll discuss your views on the book in the comments below. 8 Comments to "Mega Man as Nonfiction"
I was expecting some issues with the “american covers” thing, but Mega Man eating sushi was priceless. By the way, How anyone can make the mistake about Bass and Axl? I think the sushi reference is specifically in reference to the OVA, where he does eat power ups as sushi at one point. When this was turned into the MM TV show we got a lot was changed, although I don’t know if MM actually ate a hot dog. I think they have to be talking about the TV shows because that’s the only place a comment like “they changed the eyes” makes any kind of sense. They didn’t change the eyes in the game and they changed a whole lot more on the cover art. Or I may be giving them too much credit. You may be giving too much credit, though I appreciate the thought! “Game Over” was published in April of 1993, and the interviews that it was pulled together from were conducted months or years before the final manuscript. 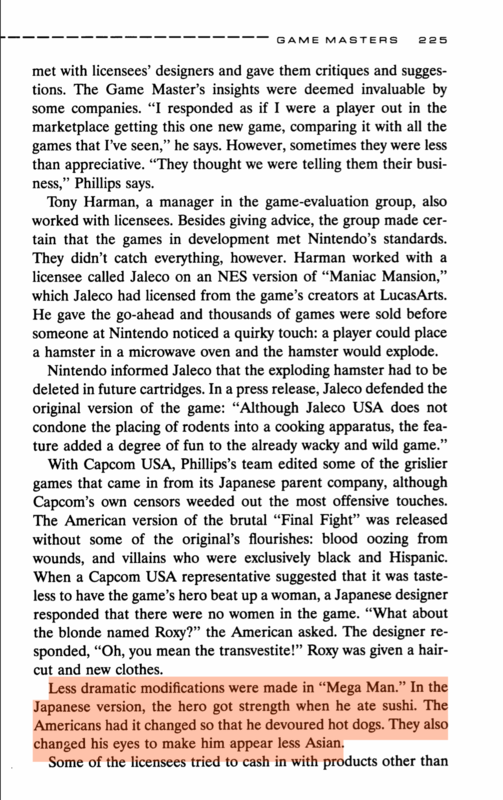 The source for this passage was Howard Philips, who left Nintendo in 1991. The latest Mega Man he would have had anything to do with during his Nintendo days would have been pre-release MM4, and too early I think to have anything to do directly with either animation. The Mega Man cartoon aired in 1994, and I imagine Ruby Spears and Capcom had their own focus groups outside of Nintendo for their creative changes by that time. And like the box art which you pointed out, their version of Mega Man alters way more than just the eyes. Mega Man Upon A Star, released in late 2002 but reportedly made in 1993, prominently features Mega Man 5 characters which means its development probably could only have begun in late 1992 at the very earliest. And while Mega Man tries to use chopsticks in the OVA, I don’t believe he ever actually uses them successfully to eat anything. Plus he makes a big deal in it about how he can’t eat human food. I think Mega Man says this in Captain N as well, but I don’t expect that show’s writing to be especially particularly consistent when it came to any of its characters. Thanks again for the comment, and if you think of anything I may have missed, let us know! One reader commented that the use of names is confusing, but I think it makes sense in the broader narrative of the book itself, where most of the principal players and companies are already introduced. Maybe I should have read the book over twice when nitpicking though, since Wily’s face is definitely not on the player select screen in MM2, and while Kikaider/Super Sentai character fits for Blues, shouldn’t Rush get a mention of Casshan instead? Anyway, the Mega Man Knowledge Base needs to change their Rockman 3 picture to one where Mega Man has a nose, so other web sites cruising for clip art will stop using that weird version. I’m still trying to figure out not only where that version came from, but why it’s damn near the only version to be found any more! So it could be any game. I don’t remember sushi to hotdog changes in Capcom games, but Final Fight had both as recovery items, and both went missing along other items in the first SNES version. Wow, Game Over is one of my favorite books, but I had completely forgotten about that!